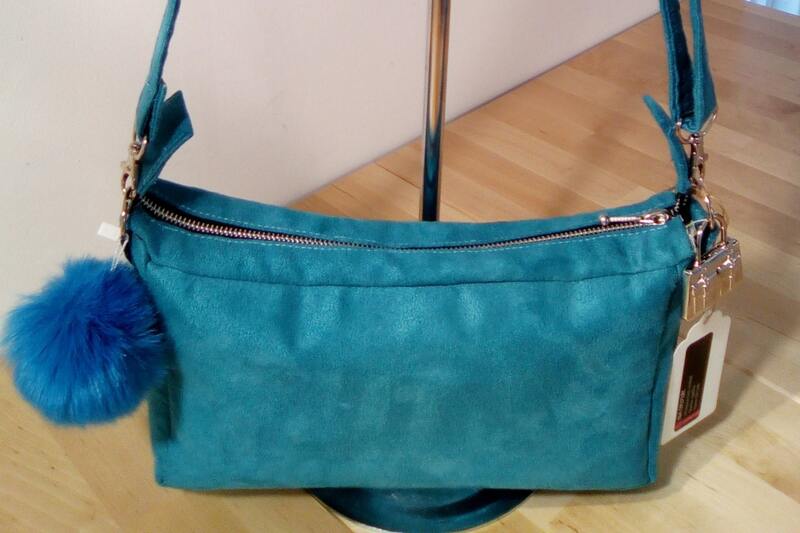 Blue Cross worn suede bag. The outside is suede and closes with a zipper on top. The Interior is cotton printed "bird", it has a large zippered pocket on inside as well as 2 other patch. It has a hook for keys. Shoulder strap is adjustable also suede with a silver ring. Outside is decorated with a lock shaped bag featuring my "Isabelle Don" brand. It also has a tassel matching the front. Very light is easy to carry.